Technical architect/developer able to take your requirements, document them and turn those requirements into a product or prototype. To speed up development process I may suggest...Read moreTechnical architect/developer able to take your requirements, document them and turn those requirements into a product or prototype. 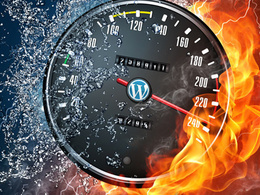 To speed up development process I may suggest using Laravel, Appcelerator Titanium or a custom WordPress App. Rapid development and/or prototyping of your web app, web site and mobile app for iPhone/iOS and Android. Many years of experience working for start-ups, multi-nationals and government organisations across Europe. If you're stuck with an urgent problem I can usually accommodate swift project turnaround for urgent jobs. Graham created an app we wanted and fixed any errors found in BETA testing promptly. Happy with the work delivered, done to the price he quoted and delivered to the specifications. Thanks Jarred, great working with you. Graham is a talented developer who understood my requirements and worked closely with me to complete the work. His solution was exactly what I wanted. I would have easily given five stars, however during the work Graham disappeared on me for a while and the work was delivered very late. Graham tells me this was due to personal circumstances which I have no reason to disbelieve. I would work with him again. Graham was fantastic again: responsive, helpful and hardworking. Fantastic work. The communication and responsiveness from Graham is the best we have observed on PPH! Thanks Lucy, great working with you. I hope I get the opportunity to work with you again in the future. Graham is the ultimate in professional, thorough, and communicative. He is truly a rare, multi-talented developer and designer. Such a great experience! Phenomenal work and attention to detail as always from Graham. The best in the business. Very professional, very efficient. Great to work with. Gets the job done. Excellent. Fix a Wordpress > Google+ > authorship connection problem. Amazing. Thank you so much. Had a technical problem with two Wordpress blogs and Graham fixed them both very swiftly and professionally.